How Much is my Home Worth in Evandale? On February 1, 2019, the median price for a house in Evandale was $356,000. To date, there have been 15 3 bedroom houses sold this year. The DSR or Demand to Supply Ratio rates an investment in a house as very good. A very good rating indicates that there is a strong demand but, not enough properties on the market. This is a good market for investors. Sellers do not have to wait long until they receive a good offer. Expect the capital growth to be good in the near future. 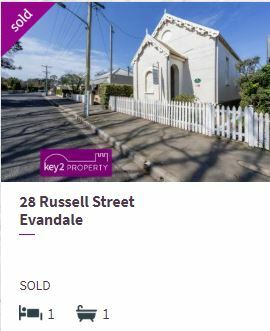 The 12-month capital growth in Evandale is at 15.79% for houses. The average annual capital growth is 0.89% for houses. It takes on average approximately 35 days to sell a house. The gross rental yield is 4,73% for houses. Are you contemplating selling your home or unit? Or, do you own an investment property you want to know the market value? Our property appraisal team provides a free property appraisal of homes, units or land. We base our market price on recent sales history. We also factor in the location of schools, shops, and amenities. We will present a professional report as to the current value of your home. Are you moving and want to rent ou your home? Or, do you own an investment property and need the services of a property manager? Our property management team manage multiple properties. The will give you a free and accurate appraisal of your expected weekly rental return. Our staff uses the latest software to perform routine inspections, collect the rental fee and maintain your property. Each landlord receives full tax accounting documentation in a format of your choice.